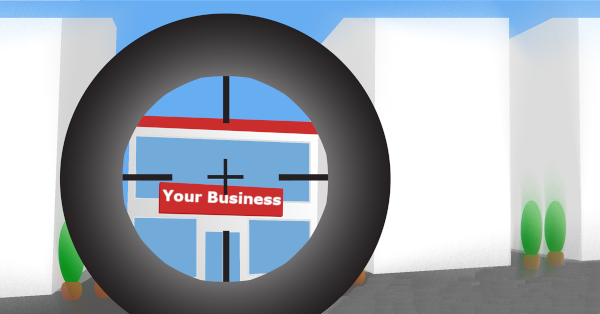 Hackers today have many ways in which to attack small businesses and business owners. Many hackers attempt to gain information or attack businesses with malware, viruses or phishing attacks. One or more of these techniques can be combined with gaining physical access in an attempt to steal information and data from vulnerable firms. This articles will help you identifying precisely how criminals target businesses to help protect you from the most devastating attacks out there. Protecting your business against the latest IT threats should always be a top priority. Updating your antivirus and keeping your operating system and applications up to date is a great way to start. What happens though, when a threat appears at your door before security firms have had a chance to catch it? A security threat that exploits a previously undiscovered vulnerability is known as a zero-day threat. The name “zero-day” is designed to show how long since the vulnerability was discovered and also indicates that system developers have had zero days to fix it. A newly discovered attack might be included in a computer virus or worm. This will allow it to spread far and wide, while inflicting the maximum amount of damage possible. When spread successfully, a new exploit has the potential to reach hundreds of thousands of computers before an operating system or anti-virus update can even be issued. Here are 4 ways to help protect your business or lessen the damage from an unknown or zero-day attack. The number one way to mitigate the damage from any attack is to prevent it from happening in the first place. Maintaining a good firewall and up-to-date security system is the best way you can take to ensure the security of your system. A firewall, which monitors traffic in and out of your network, reduces unauthorised entries and exits over the network. Even without knowing the exact nature of the attack, suspicious activity can be stopped. The same is true of modern security software. Even when it can’t identify the specific zero-day threat from its virus database; it can often identify malicious intent from learned behaviour in the system. Should a zero-day threat make it into your network, our next goal is to limit its effects. By restricting user access to only essential files and systems we can limit the damage done to the smallest area. Good security policy dictates that each account should only have full access to the systems needed to complete the user’s job. For example, users from the accounts department shouldn’t have access to sales department databases – see our blog article here on this area of security. In this way, the damage of a single compromised account is limited to only the network area it has permissions to. Limiting the impact makes it easier to recover if the worst happens. Whether your entire network has been exploited or only a small area has been affected; good data backups are a must and are your protection against major long term damage. Having a good backup means having the procedures in place to create regular backup copies and also regularly test those backups to make sure they can be restored at a later date. Reliable and well tested backups are worth their weight in gold. They allow you to sleep well at night knowing your data is safe and your system can be recovered. While the precise methods of a zero-day exploit can’t be known in advance, a network intrusion protection system (NIPS) can monitor your firms network for unusual activity. The advantage of NIPS over a traditional firewall and traditional antivirus software is that it does not rely on checking software against a known database of threats. This means it does not need updates or patches to learn about the latest attacks. NIPS works by learning the day-to-day patterns of network activity across the network. When traffic or something out of the ordinary is detected, action can be taken to alert system administrators and lock down the network. Used in combination these techniques can prevent, protect, and mitigate against the kinds of threats that even the top security firms don’t even know of yet. If you could use help protect your business against security threats and are in Adelaide or South Australia, then give us a call today at 08 8326 4364 or via email at support@dpcomputing.com.au. Unified Threat Management (UTM) is a special kind of firewall solution focused on proactive protection. Consider it like a team of virtual bodyguards that stand at the door between your business and the internet, keeping trouble out while your legitimate traffic can come and go normally. With the increasing number of connected devices in your business network and the different ways your employees can now connect, it is more important than ever to set up dedicated security systems that give integrated protection. UTM is a series of solutions that work together, simultaneously layering your protection across the board. We’ll cover the four main inclusions here and show exactly what they can do for your business. Put simply, a firewall keeps an eye on all the data coming in and out of your network and looks for anything abnormal. While every home PC comes with a software firewall built in, those ones pale in comparison to what a UTM firewall can do. 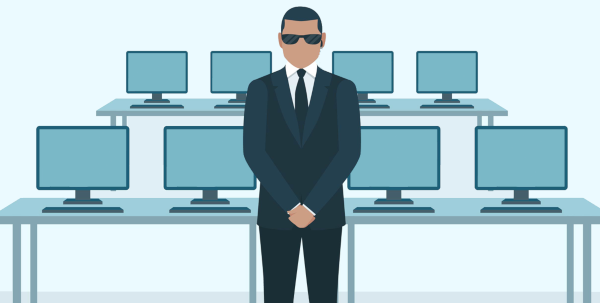 Remember the team of virtual bodyguards? Imagine the home firewall asking nicely if the data should be doing that, while the UTM slams the data to the ground and demands answers. Its job it to make sure the data entering your network is safe, that it is not part of a cyber-attack, and that in the rare event your network becomes infected, your servers aren’t being used to attack another business. With so much new malware being released daily, it’s easy to fall behind in updates and discover you’ve been infected. Your employees are likely doing their best, but manually scanning each file can be exhausting and time-consuming. Your UTM anti-virus is built into the firewall, ensuring known or suspicious malware is stopped at the door removing any risk. Clearly that is the best outcome possible and will allow your employees to work at maximum efficiency, while you can run your business with confidence. Most cyber-attacks come via email these days, with either an attachment or a link. Once clicked, the malware wreaks havoc in your network. Obviously, your employees are smart enough not to open random attachments/links, so hackers use phishing emails. These are emails that look legitimate and may refer to vendors you use, financial services you have accounts with or even seem to be from other employees. Your UTM strips down each email and checks it against high-tech legitimacy markers. If it sees anything suspicious, the email is marked as spam and either held for review or bounced away. As the phoney emails are blocked, your employees never see the emails so they can’t accidentally open up the network for attack. While the UTM is monitoring for phishing/fake emails, it’s also culling out the general spam that clogs up inboxes. Employees will no longer have to spend precious minutes each day wading through the junk, and the likelihood of missing an important customer email has greatly dropped. In a perfect world, your employees would only access work-related sites and do work-related things online. Content filtering can help you limit the risk they’re bringing into your business via their Internet browsing. Your UTM can be set to restrict sites that infect computers, such as adult content, gambling or illegal downloads. It can also be used to restrict access to social media sites like Facebook, Twitter or Pinterest, either during work hours or completely. It’s up to your policies how much you’d like to filter and whether to add any flexibility. Some businesses allow social media during lunch breaks or have special reward hours each week. Simple tweaks like this can increase productivity overnight and give you the security you’re looking for. You can see how a layered security solution like UTM provides a space for your business to thrive, where systems are secure, employees are able to maintain efficiency, and cyber problems stay outside the doors. 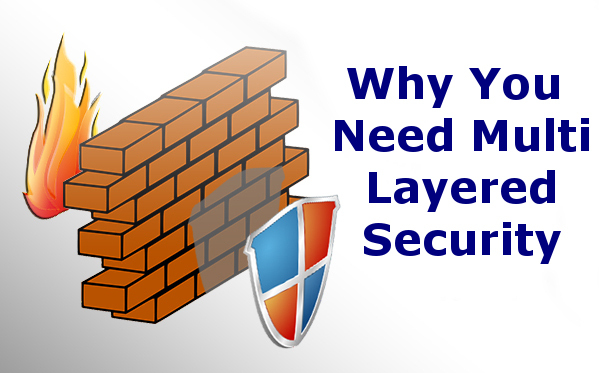 The way the layers work together is more effective than a patchwork of separate systems, and a UTM is much easier to configure and maintain. We can find the right UTM solution for your business. Call us today at 08 8326 4364 or support@dpcomputing.com.au! There are the normal costs everyone associates with a computer breach, like employee downtime and the costs associated with getting your network and computers fixed. But really, most businesses that haven’t been hit with a security incident view it as more of an inconvenience than a bottom-line cost. For those businesses who have come out the other side though, it’s a very different story. They know from firsthand experience that the hidden and ongoing costs of a data breach can be crippling and that IT security exists to protect your business on multiple levels. All those surprise costs that spiral out of control are why most businesses close down after a cyber-attack. Here are a few of the hard, but common cold hard realities of life after a hack. From the moment a cyber-attack compromises your system, things can get expensive, and the longer the attack goes, the more it costs. Latest statistics reveal most breaches aren’t identified for around 191 days and then it can take on average another 66 days to fix and contain the damage – during this time you are cleaning PCs, mobile devices, laptops, servers and even entire networks. Add to this the fees for IT professionals to fix everything up, the costs for new hardware and software to help prevent future incidents and all the hours/days/weeks when your business is struggling with downtime, businesses will quickly exhaust any emergency funds they have. Depending on what data was stolen and how you handled the situation, you could be liable for fines into the millions. If medical data or legal files are leaked a particularly messy scenario may occur with fines coming from multiple sources. New privacy laws also mean businesses are liable for large fines if they don’t disclose a data breach. Where this gets trickier is that the burden is on your business to know exactly what data has been stolen or illegally accessed, so that you can report it before the fines stack up. This means that even if you were able to fix up the systems yourself, you will still need to hire an expert who can identify exactly data what the hackers took or accessed. In a double crush to your bottom line, not only does your business bear the cost of fixing the hack and your future income takes a hit as customers lose trust and leave. To offset this, many businesses need to spend more on advertising and public relations just to ensure they survive to fight another day. The data breach disclosure may still come up in search results for many years to come. The more negative publicity your breach attracts, the more you’ll need to spend on customer retention. While you may not have high level secrets to protect, your business does have data that you would like to keep to yourself. Hackers love going after those juicy tidbits, and the more closely you guard them, the more attractive they are. While large corporations would be big enough to keep their competitive edge after the breach, your business success relies on at least some information staying secret (databases, client info, financial records etc). The thing is, it’s not expensive to stay on top of it all and keep your business protected. For a low monthly fee, we can reverse the entire scenario and secure your systems against the unknown. That means no need to raid other department budgets in a panic, pay crippling fines and make embarrassing public announcements. DP Computing can help with making sure your systems have the latest security patches and your anti-virus knows the latest tricks to watch for. Our technicians implemented a firewall or UTM device to build a virtual fortress around your business that keeps the bad guys out while letting you thrive. Whatever your needs are, both now and moving ahead, we’re here to help keep you safe. Ready to secure your business against breaches? Give us a call on 08 8326 4364 or via email at support@dpcomputing.com.au. Firewalls are a well-known security essential, and we are certainly big fans, but did you know a firewall alone is not enough to keep your business safe? It is like building a fence around your house to keep the burglars out: You feel safe, private and secure… but the reality is, anyone with a ladder, enough motivation or ninja skills poses a real threat. That is why despite every networked business having a firewall in place, security breaches are increasing at an alarming rate – further protections are still needed. Without these additional protections, once the firewall is beaten or bypassed it’s like a fox in a hen house. The bad guys are free to view and download files, make changes, and even take over your systems completely. That’s why computer security works best when it’s multi-layered. 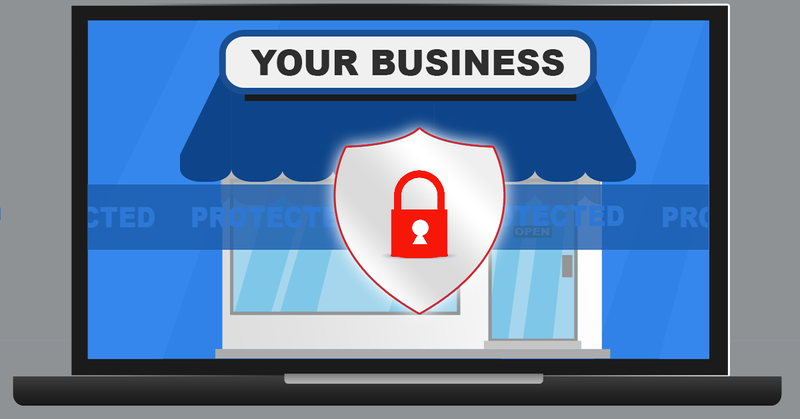 When one protection fails, the next layer kicks in to keep your business safe. And then the next, and the next…but that doesn’t mean you need CIA level security that gets in your way. While not enough by itself, your firewall is still your first line of defence. However, there’s a huge difference between the generic firewall that comes standard with your broadband router and a dedicated hardware firewall appliance. Our technicians will work with you to identify which firewall is suitable for your business. A free antivirus program might be ok for home use but do you really want a free program with no backup or support protecting your confidential business data and financial information? We’ll help you give employees access to only the files they need to do their job. It’s not a matter of trust, but rather one of security. If they were the one to accidentally let the attackers through the firewall, perhaps by clicking an email link, you’re then able to limit the damage. Without this added layer of protection, it’s relatively easy to access any and all files. More secure than simply password locking a file, this uses a secret ‘key’ to scramble the files and their contents, so that when anyone else tries to view them all they see is incomprehensible nonsense. Our technicians can setup an encryption system for you so that approved users can use them normally while all files remain secure. As nothing is totally 100% secure no matter what features you implement a backup is a necessity. Having your data backup on multiple removable devices (stored both locally and offsite) as well as a cloud based backup is a must. DP Computing offers security services to make sure all our clients are protected and all their security products are operating at 100% efficiency. Threat analysis, prevention, management and response are all included so your focus can remain on growing your business and we’ll take care of the bad guys. Give us a call at 08 8326 4364 or via email at david@dpcomputing.com.au about multi-layered protections for your business. Ransomware and most malware attacks start in two main ways. A booby-trapped email with a malicious attachment or via a compromised website; which then work their way down to your endpoints and servers.To stop these attacks, it is critical that you have a multi layered approach to security. This starts with a training your employees and patching your devices right through to cloud based malware filters, dedicated hardware firewalls and corporate grade security applications on each device. Regular training for employees is essential. Employers need to inform their staff on what to look out for and don’t trust the contents of every email they receive. The sooner you patch Windows the fewer holes there are for ransomware to exploit. Backup regularly and keep a recent backup copy off-line and off-site. Offline and off-site means ransomware can’t get to it. With recent backups data loss can be minimized. A free antivirus program might be ok for home use but do you really want a free program protecting your confidential business data and financial information? You probably don’t just rely on a cheap door lock on the front door of your house so why rely on a basic firewall on the electronic entrance to your business? Don’t rely on your local antivirus software detecting and stopping malware within your email application. Block it before it even enters your network by using using a cloud based filter – one that uses multiple filters is even better. Enabling extensions makes it much easier to spot file types that wouldn’t commonly be sent to you. Don’t enable macros in document attachments received via email. A lot of infections rely on persuading you to turn macros on, so don’t do it! If you aren’t sure – don’t open it. Check with the sender if possible. Don’t have more login power than you need. Having administrator rights may bake things easier for administration but they also give malware free ranges on your computer and network. An infection which may be able to be contained to one device could become a network disaster is the malware exploits admin rights. Keep applications up to date. For example Office 2016 now includes a control called “Block macros from running in Office files from the internet”. 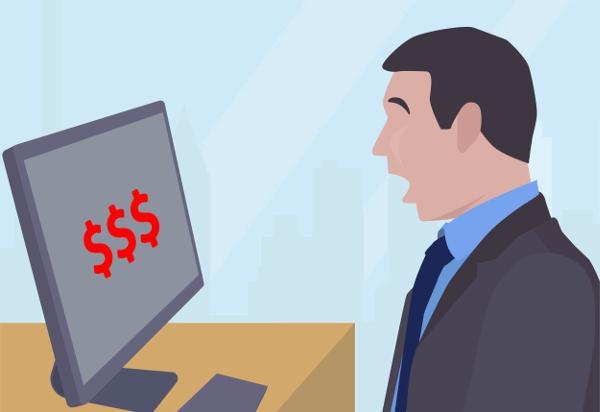 How Much Could A Ransomware Attack Cost Your Business? How much is your data is worth? Information is probably the most valuable part of your business. Imagine if you lost your client database, accounting software, inventory management and any intellectual property you may own. How long will it take to recreate this data and how much money would you lose in lost productivity, staff wages and the time it takes to either recover or recreate the lost information? Recently when the WannaCry ransomware spread through out the world, many businesses were suddenly forced to re-assess the value of their data: was it worth saving and what would be the ongoing costs of the attack? 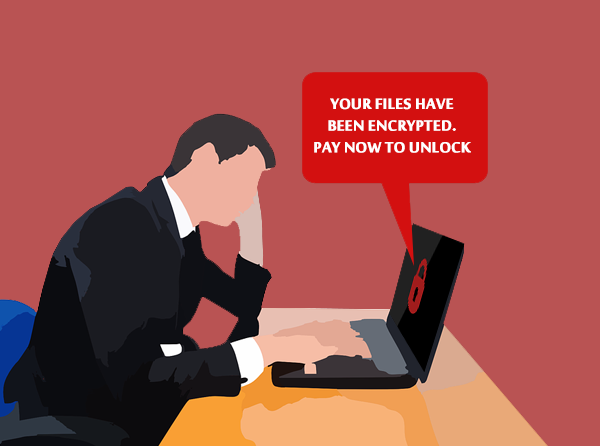 If you don’t have a recent backup most ransomware attacks cost at least $US200 (if not a lot more) to get your files released and that is only IF the cyber criminals honor the payment and actually give you the decryption key (some even demand further payments). Meanwhile your business is still running and new client calls are still coming in and you may find yourself unable to operate with your systems down. There is still the downtime involved to restore your data resulting in lost productivity. If word gets out that your data has been compromised you may find confidence in your business plummets and your existing clients head elsewhere. The cyber criminals you pay, may now see you as an easy target and demand more money or target you for other scams and malware activity. You may recover the data but is it compromised with other malware? You may not get back all the data that has been lost. So that $US200 ransom may end up costing many, many thousands of dollars! Keep your systems up to date: Malware can take advantage of flaws in older versions of Windows and software – sometimes ones that have already been patched by Microsoft and third party vendors. To be protected businesses have to stay up to date with their patches & versions. To be up to date with Windows patches you need to be running a supported version of Windows. Delaying patches and updates puts your business at risk – we can help you keep you systems up to date. Use corporate grade security software and firewall: Free software may be fine for low end home computers but if the worst happens you will get no support or help from a company providing free software. A firewall or UTM (unified threat management) device can also help block malware and ransomware infections. But whether it is a free or paid for solution the software (and any hardware devices) must be kept up to date. Lock down employee computers: Very few staff will require full administrator access to your business network. With a higher level of permissions the more damage a person can do – either accidentally or by inadvertently installing malware. By locking down your computers you have a better chance of containing a malware attack to non-vital systems. Our expert computer technicians can design an access management plan that gives you best of both worlds – flexibility and security. Educate your workplace: Most employees believe they are being cyber-safe but in reality it is quite different. Many malicious links and embedded malware have become harder to spot – and all it takes is a microsecond to click (and later regret it). We can work with your staff to establish procedures around checking links for authenticity before clicking, awareness around verifying the source of attachments and the importance of malware scanning and keeping systems up to date. We can help get the message through! Have a solid backup plan: When ransomware hits, a connected backup = infected backup. Also a lot of cloud backup systems, such as Dropbox, immediately clone the infected files which also renders the cloud copy useless. The only safe backups will be the ones both physically and electronically disconnected. Our experts can set you up with a backup system that makes recovery simple. Be proactive: The best way to avoid the costs of a ransomware attack is to prevent it from happening in the first place is with up to date antivirus software, regular systems updates and security audits. Remember, many businesses were able to watch WannaCry from the sidelines, completely unaffected and seized opportunities while their competitors were down. Our regular maintenance plans can help protect your business against the next cyber-attack. Call us today on 08 8326 4364 or via email at support@dpcomputin g.com.au.